Synology has today announced the official launch of two new products, the Synology DS1819+ and Synology RS1619xs+ NAS desktop storage devices. The DS1819+ is a high-performance and scalable 8-bay desktop storage for small and medium-sized businesses. As the successor of DS1817+, DS1819+ delivers over 57% performance escalation in sequential reading, makes it an ideal server for file sharing and data backup. The RS1619xs+ is a high-performance and scalable 1U rackmount NAS designed with upgradable memory and M.2 SSD cache configuration to meet the needs of modern businesses that require a flexible, reliable, and efficient storage solution. Equipped with a PCIe 3.0 slot, RS1619xs+ supports installing a 10GbE/25GbE NIC for fast data transmission. Built-in M.2 2280 SSD cache slots further benefit IO-intensive tasks, such as virtualisation or mail server deployment. 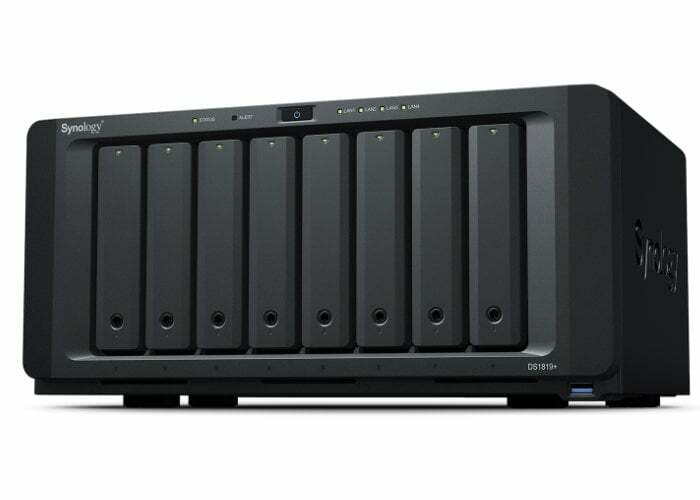 The Synology NAS RS1619xs+ is now available to purchase priced at around £1,932.